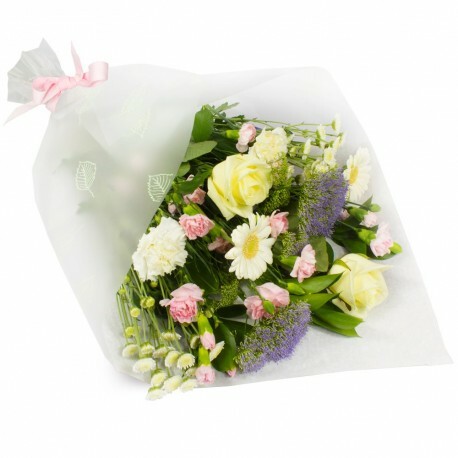 Perfect for any occasion, this bouquet is a gorgeous collection of flowers including some blues, pinks and creams. All beautifully arranged and gift wrapped. Flowers will be professionally hand delivered by Reebees Florist.